Yipee! It's my sketch week again at Prairie Paper & Ink! 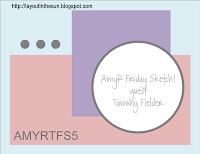 Amy is kind enough to feature one of my sketches once a month for her Friday Sketch Challenge, so I must make a card using it, right? Here's what I came up with. I'm not thrilled about it for some reason, but it is my first attempt at using my new Copic markers! I had been using watercolor pencils before... but now I'm a Copic addict! 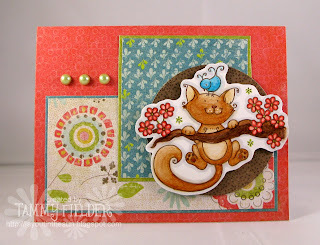 Anyway, I just adore this stamp from Wild Rose Studio, a UK company that wasn't shipping to the U.S. until now! I spent several months trying to get my hands on their stamps! One of my favorite online stores, All That Scraps, started selling some of their stamps a couple of months ago, but they took a while to get the cute cat and dog stamps that I so desperately wanted! I had to wait to get my hands on those... even begging the UK company directly didn't work! I even tried to get the two stamp stores in my area to order them, but they weren't interested in clear clings. Nevertheless... I have my stamps now and I'm a happy camper! This image was bigger than I thought, so it was a little hard to work it into this sketch. Maybe that's what I'm hung up on. Perhaps these stamps need center staging without busy designer paper. Hmmm. 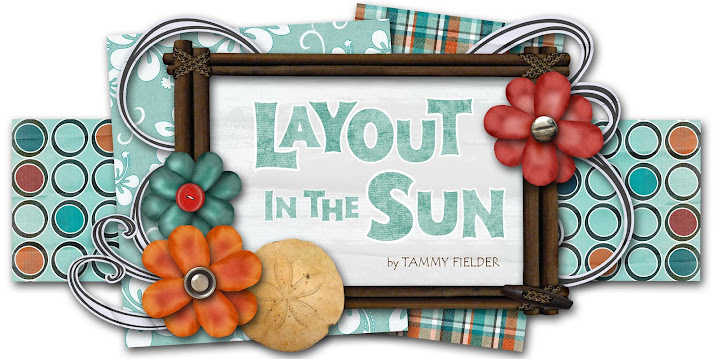 How cute Tammy ! I love your sketch !! I just played !